I have been loving my diffuser these past few weeks. I seem to have collected an essential oil or blend for every time of day. I have blends to relax, oils that help me destress, and others to provide a little pick me up. I've been using two blends pretty consistently for the past week or so. One being the relax blend from EO. I love this for the end of my workday, when it's time to unwind, decompress, and unplug. I find this blend very soothing. This blend included frankincense, orange, lavender, lavandin, vetiver, and ylang ylang. On the other end of the spectrum I've also been using EO's Focus blend. This blend of lemon, peppermint, orange, and rosemary is perfect for when you need a bit of waking up. I love using this during the final stretch of the workday. 'A Cruelty Free Me' (formerly Simply Luxe) started in 2015. As a communications student I was required to take a course in public speaking and decided to inform my class about laboratory testing for my informative speech. After giving the presentation, I began to realize how difficult it can sometimes be to find alternatives to the every day products that I didn't previously know were tested on animals. I decided to challenge myself to find the best alternatives to products I used previous to learning about animal testing. This blog is my space to review and share those finds. 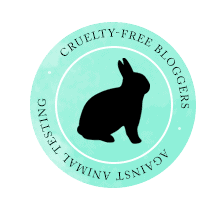 'A Cruelty Free Me' includes posts about cruelty free skincare, makeup, and haircare, as well as fitness related content. Please note that some links may be affiliate links.